Have you had enough of using the apps that need access to the root file system to work and would prefer rolling with a more secure device? If so, you can easily unroot the Asus Padfone 2 if you rooted it using our Framaroot method. The Framaroot one-click rooting method is great because you cannot brick your device. If the exploit doesn’t work then you just pack it up and try another option. Furthermore, it’s great since it can root so many devices. What they might not know, however, is that Framaroot also gives us a simple method for unrooting the device without the need to flash any stock ROM or try to work out how to unroot the device using a different method. We can do everything from within the same Framaroot application. Once you unroot the Asus Padfone 2 device, you will end up with the device that is exactly the way it was before you decided to hack open the system internals with root access. 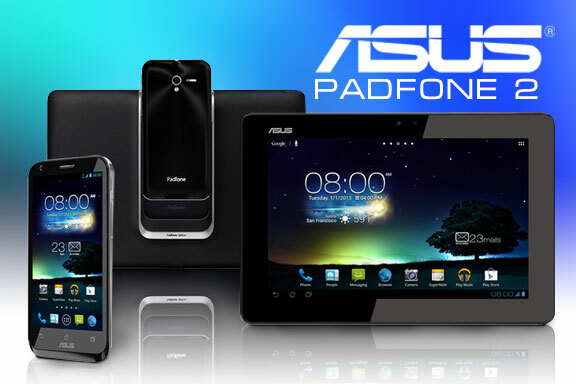 The following guide works with the Asus Padfone 2 if you have rooted the device using the Framaroot method. You must have rooted the Asus Padfone 2 by following our guide using the Framaroot method  before coming here. By unrooting the device you are agreeing to lock the Android operating system so you can no longer install any root-requiring apps from the Google Play Store. When you complete this guide, you can send your device away under warranty again. Make sure you have at least 40% battery power remaining on your device or you might run out of power during the guide. Open the Framaroot application that is in your app drawer. Select the “select an action to execute after root” option. Tap over the Triangle icon in the corner. Tap over the “Unroot” button. Wait as the Framaroot successfully unroots your Asus Padfone 2 device in a few minutes. Reboot your device once the unrooting finishes and you’re done. You can install the root checker app from the Google Play Store to check that your device does not have root access to the internal root file system any more.